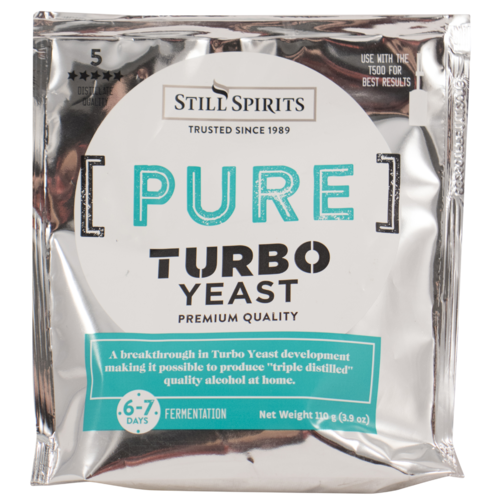 Triple Distilled Turbo yeast should be used where ultimate alcohol quality is of primary importance. 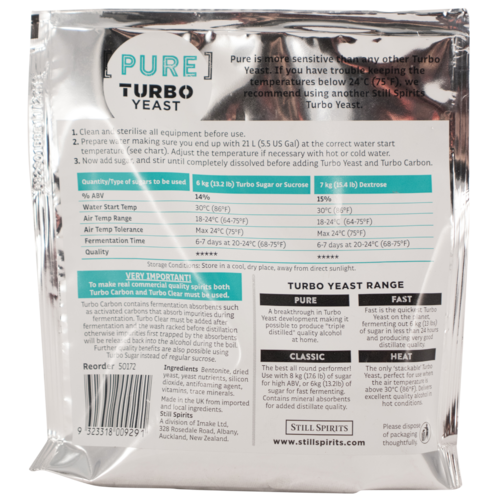 Only use this Turbo Yeast strain where cool air temperature (65° F) can be maintained. This is a revolutionary breakthrough in Turbo Yeast development making it possible to produce "triple distilled" quality alcohol in the home. used it before works well!